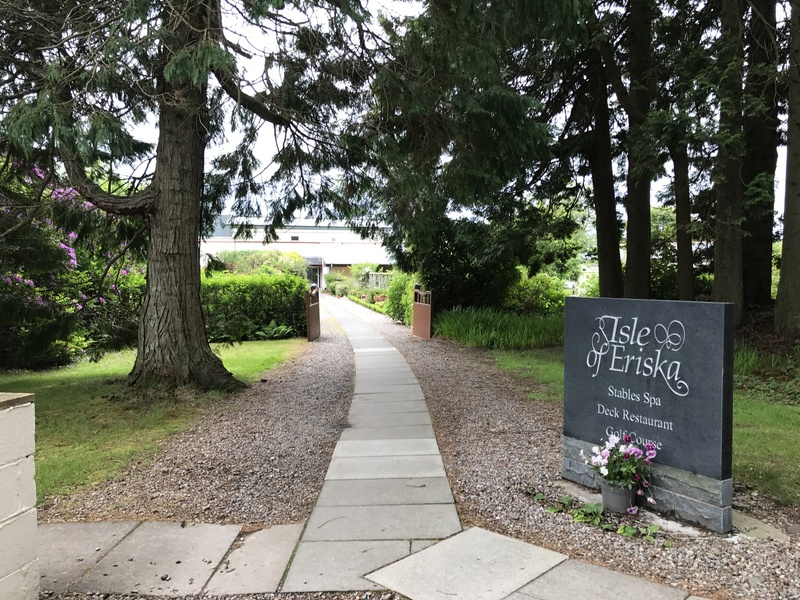 As you arrive over the clickety clackety bridge, to the impressive private island of Isle of Eriska, nothing can prepare you for what awaits. 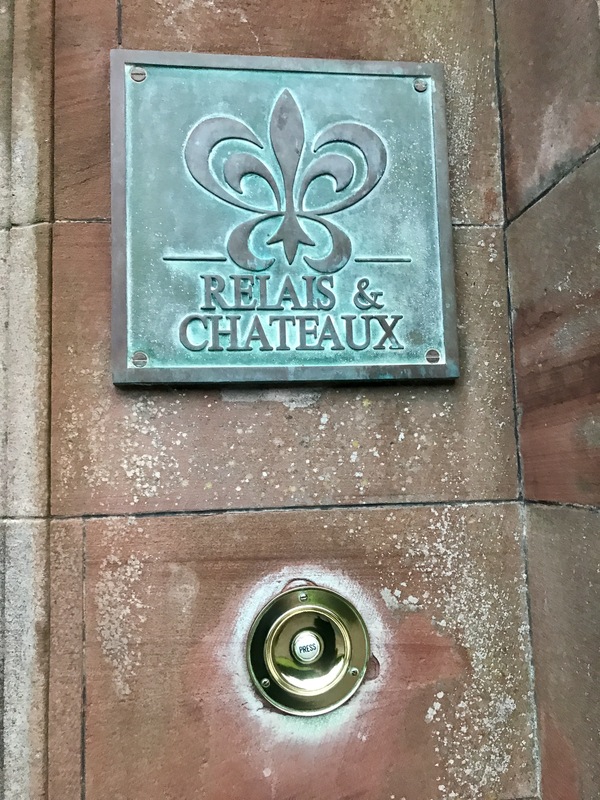 Passing through woodlands, the “Relais Chateux” property of Eriska, is a charming building set amongst 300 acres. It’s located close to a private air field if you’re lucky enough to own a private jet. 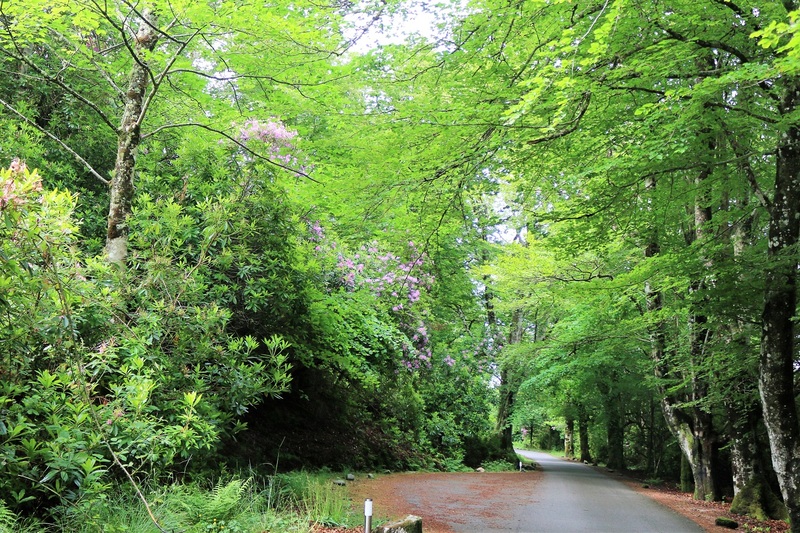 For most its a picturesque three hour scenic drive through Loch Lomond from Edinburgh. 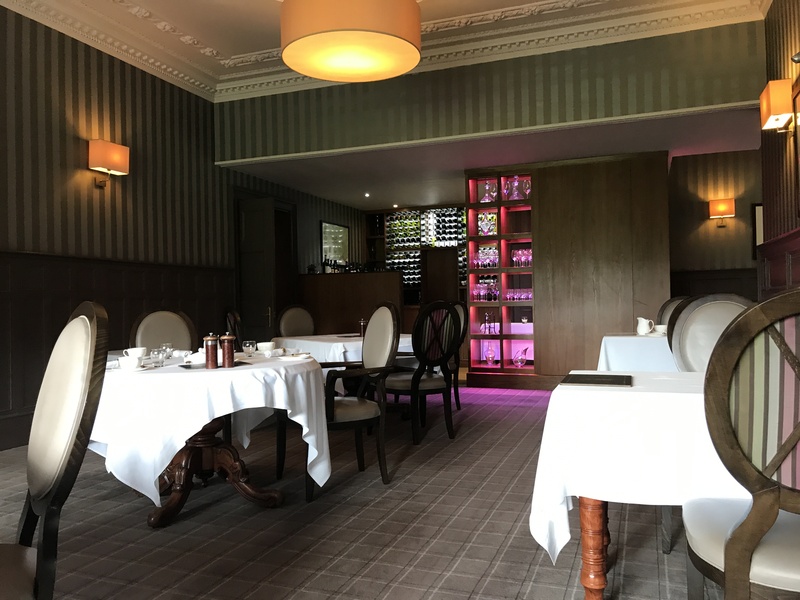 Eriska boasts a Michelin-starred restaurant, a nine-hole golf course, the Stables Spa, a casual Deck Restaurant and even a private beach as well lots of lovely nature trails. The Isle of Eriska is truly magnificent. 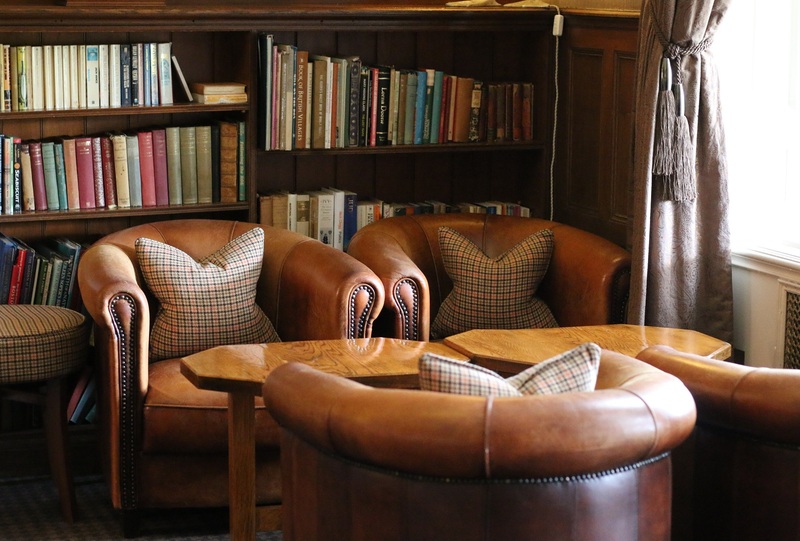 The main house is welcoming and homely, with a quintessentially British charm, and roaring fires, even in the midst of the unpredictable Scottish Summer. 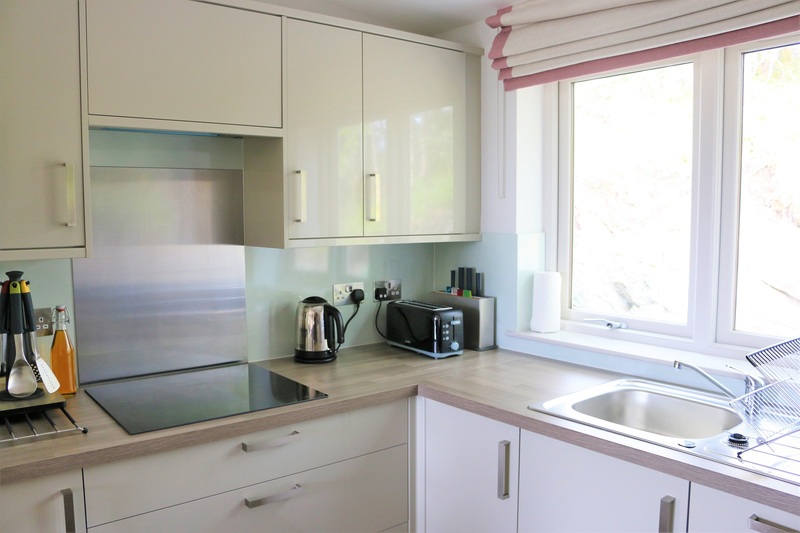 In contrast, the new Hilltops are really modern, beautifully appointed and immaculate. It’s a nice feeling being the first to stay in the Hilltop Reserves. They have a Scandinavian hygee feel to them. 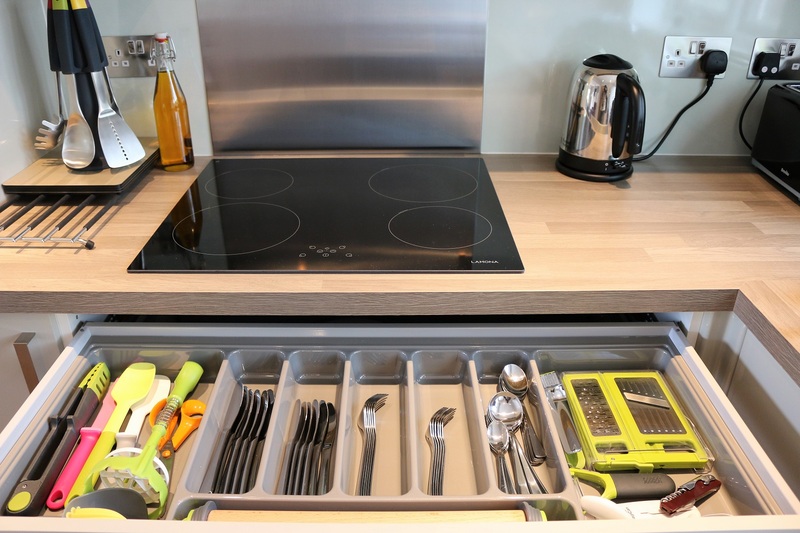 They are furnished luxuriously, with everything being quite sleek, stylish and rather plush. 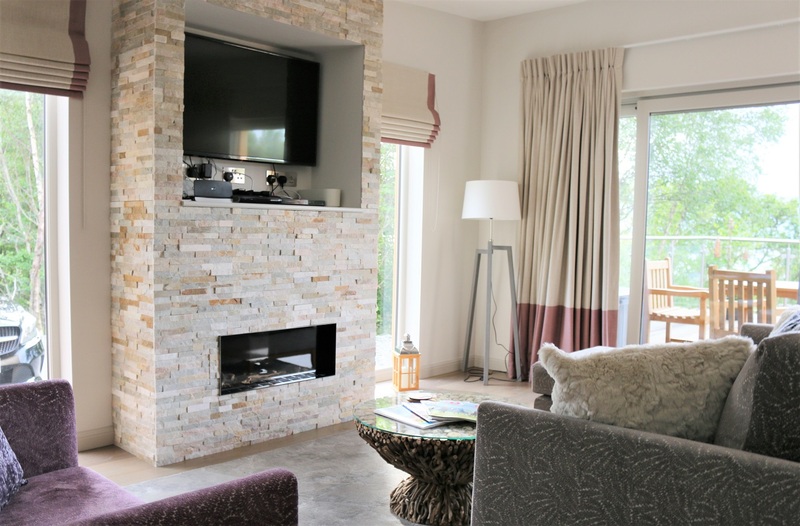 The lodges have been designed with attention to detail. The kitchen is well stocked with Joseph and Joseph accessories and there’s even some fresh milk waiting in the fridge. 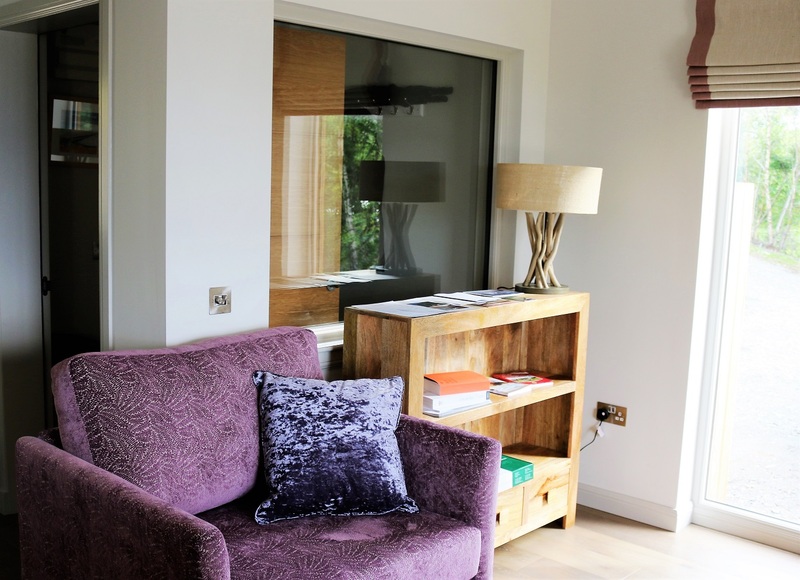 It’s ideal for those wanting to self cater and hide away from the world. 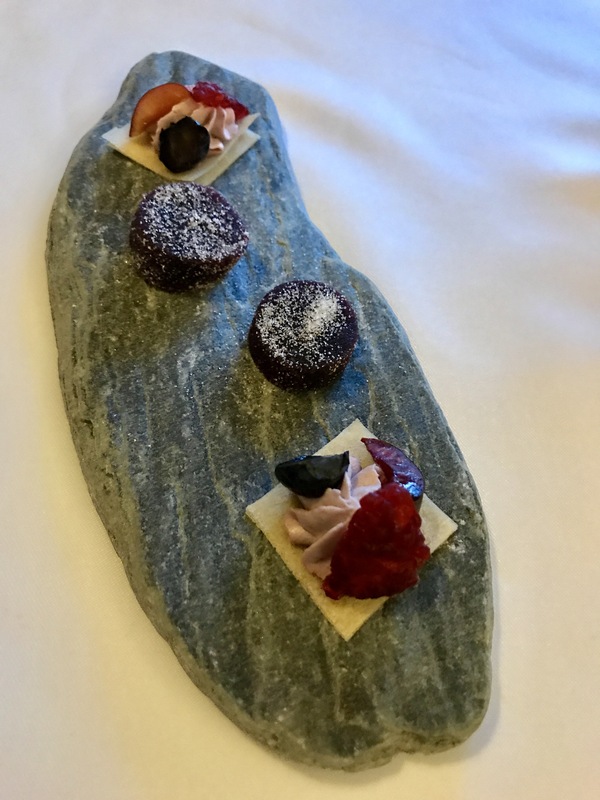 However with a Michelin star restaurant in the main hotel, you wouldn’t want to miss out on that. 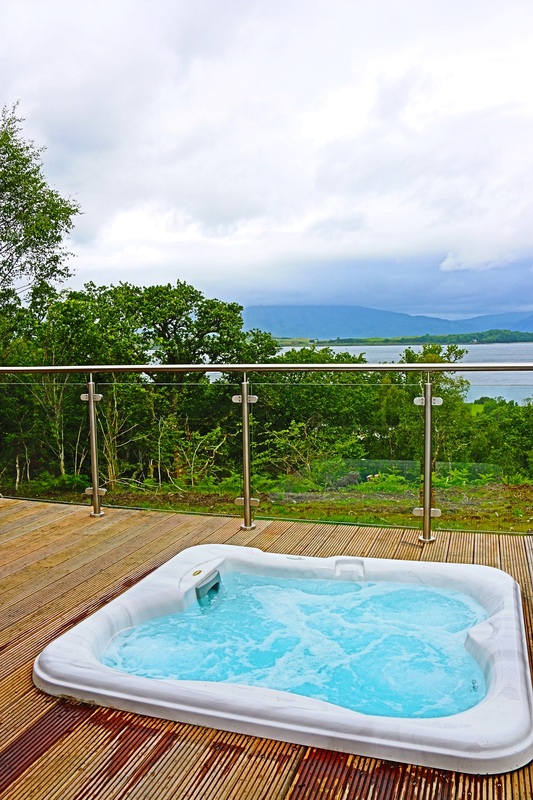 The hilltop lodge’s most impressive feature is of course the outdoor deck with a private Jacuzzi. 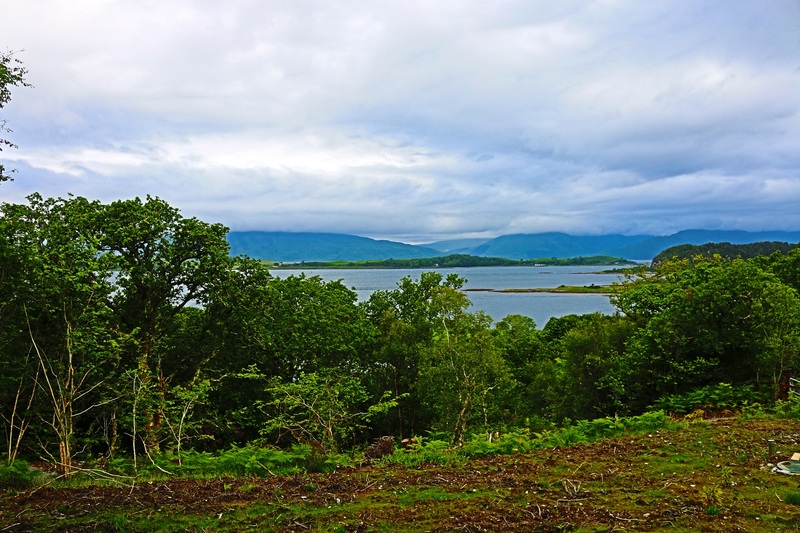 The views are incredible of Loch Creran and Lismore island in the distance. 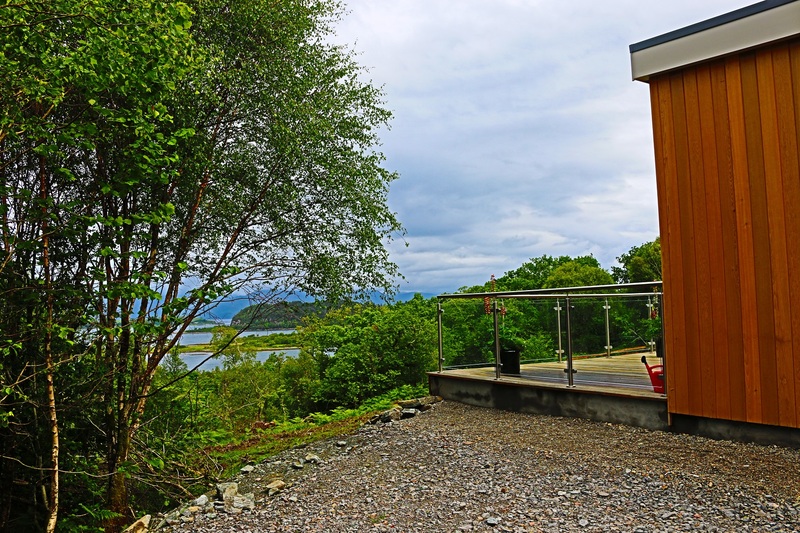 Despite the elements you can enjoy unprecedented views of the Highlands and feel completely at one with nature. 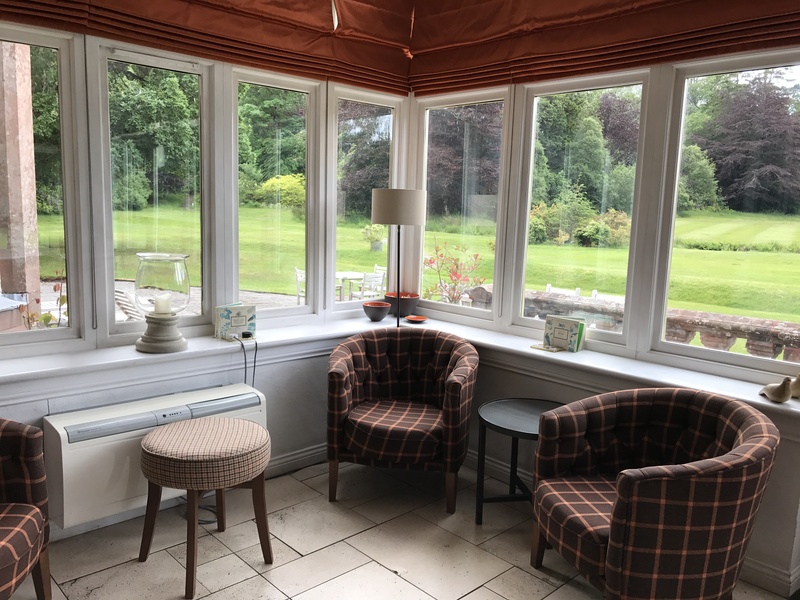 It’s tranquil and the air feels so clean and fresh on the Isle of Eriska. Each lodge has been positioned for privacy and seclusion. It’s total bliss. Even when weather is not on your side, there’s a full set of entertainment packages on the television, and board games to keep you busy. 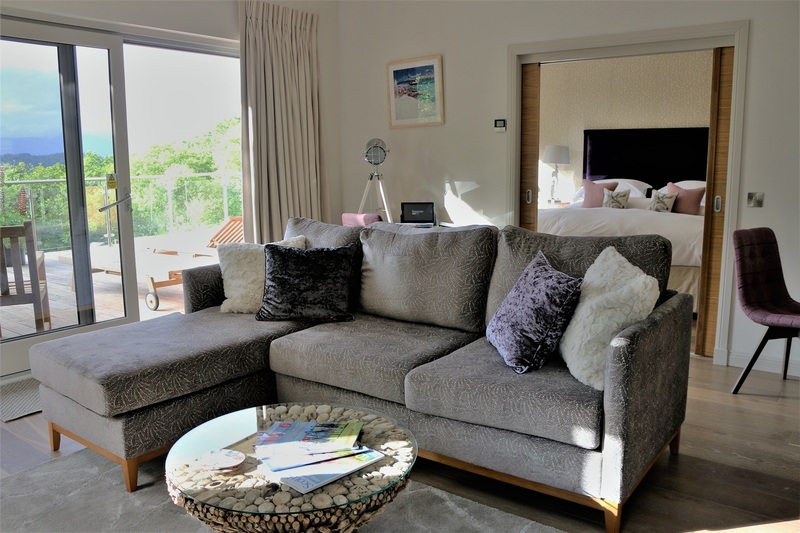 With a sumptuous sofa to sink into and a rather comfortable bed, the Hilltop is just perfect and you almost don’t want to leave. 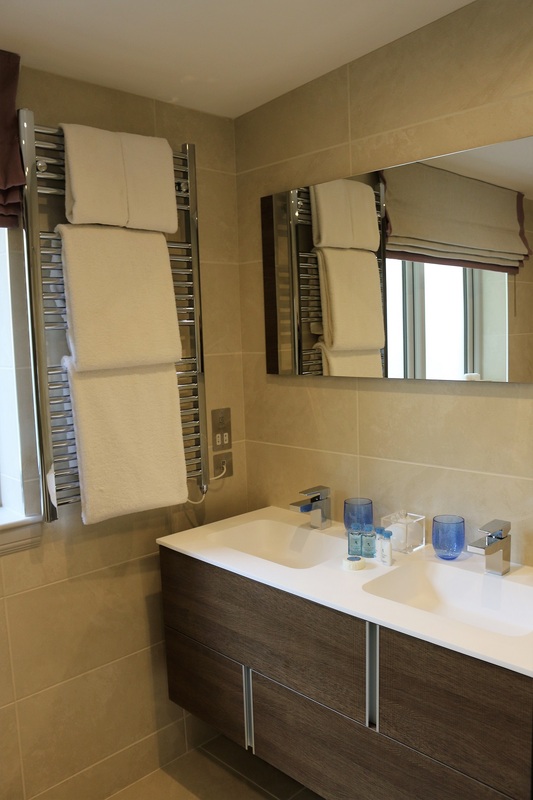 Even the bathroom is a perfect, with both a large tub for relaxing in, a rain shower, and lovely Bvlgari amenities. 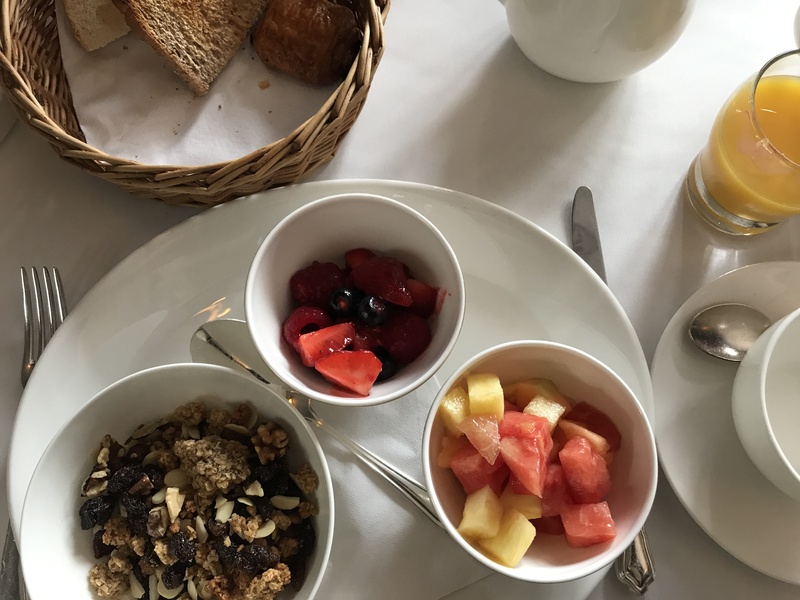 You can take advantage of optional housekeeping services, and order a hamper for breakfast and arrange bespoke spa treatments, amongst the wilderness of the lodge. 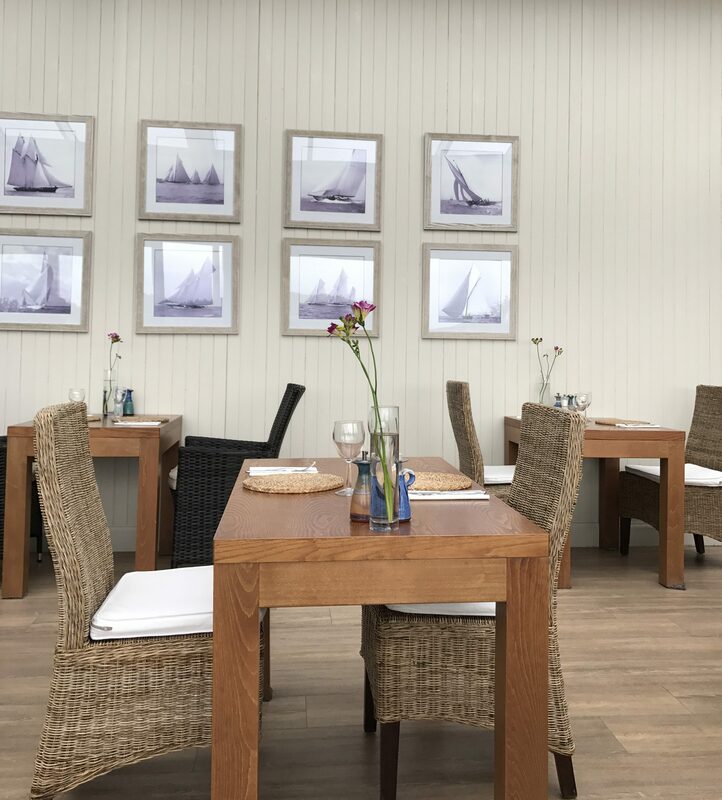 So whilst the Hilltops are self catered, subject to availability, you may be able to book meals in the main hotel restaurant. 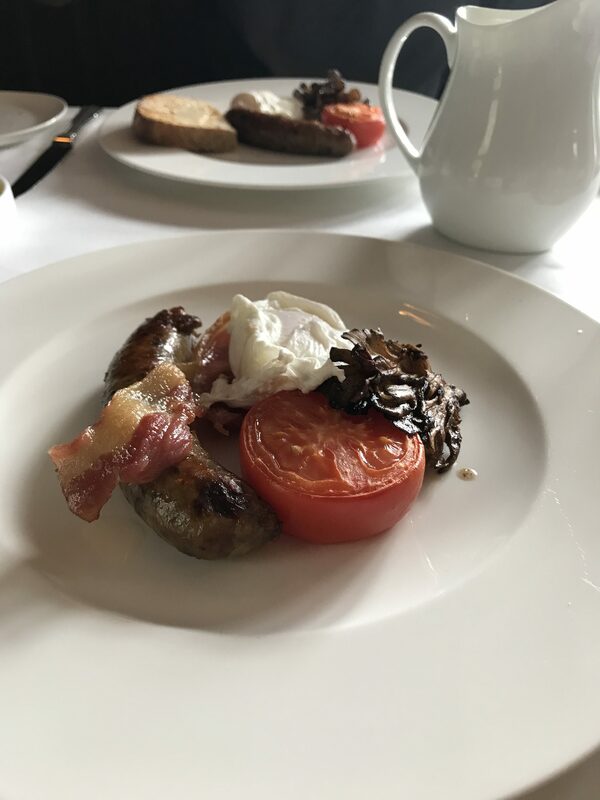 Breakfast served in the Michelin starred restaurant, as several courses, which is just how breakfast should be served, if you ask us. 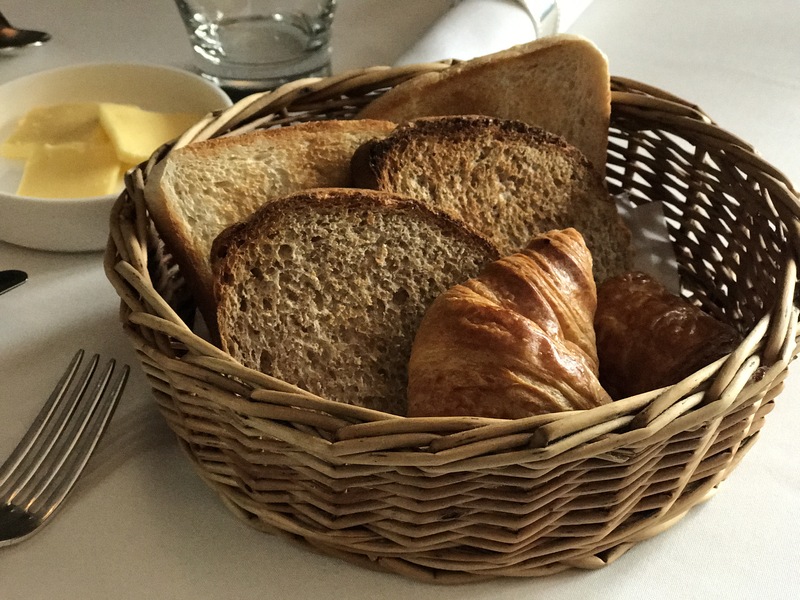 A basket of warm homemade breads followed by fruits and cereals of your choice with a hot Scottish breakfast, serve with a fresh juice. 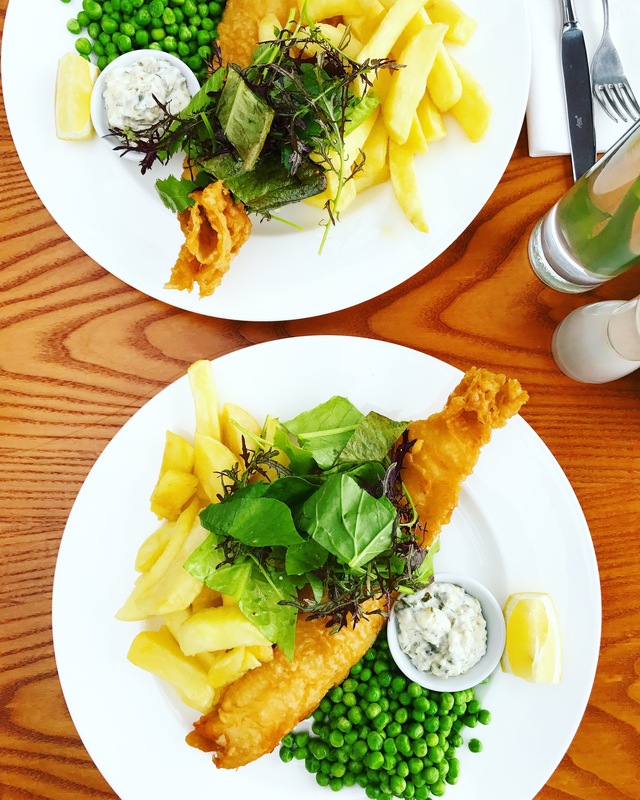 Lunch can be taken in the casual Deck Restaurant at the Stables Spa, that serve up hearty portions of classic Fish and chips. 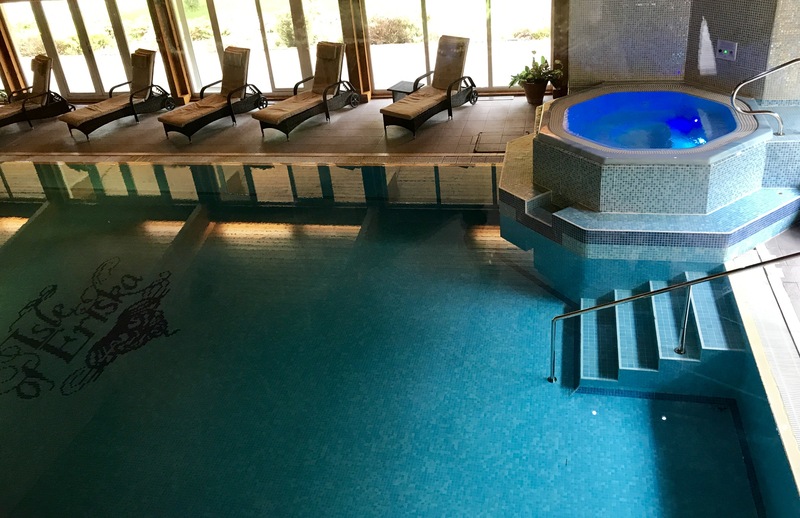 The spa seems to have been around for a while, but it’s easy to enjoy an afternoon being pampered with ESPA treatments and a quick dip in the pool. 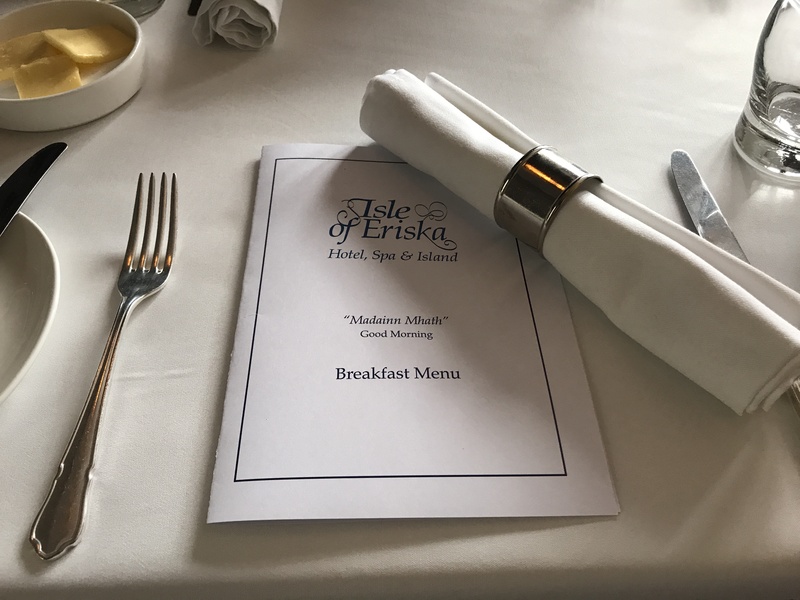 All in time for dinner reservations at Eriska’s restaurant. 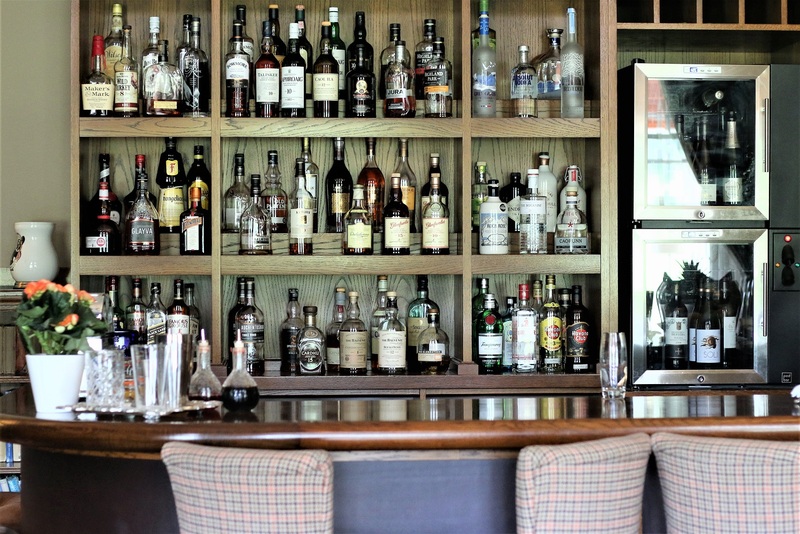 The evening starts in the well stocked bar which is a dark, wood panelled room, that opens out into a light airy conservatory. 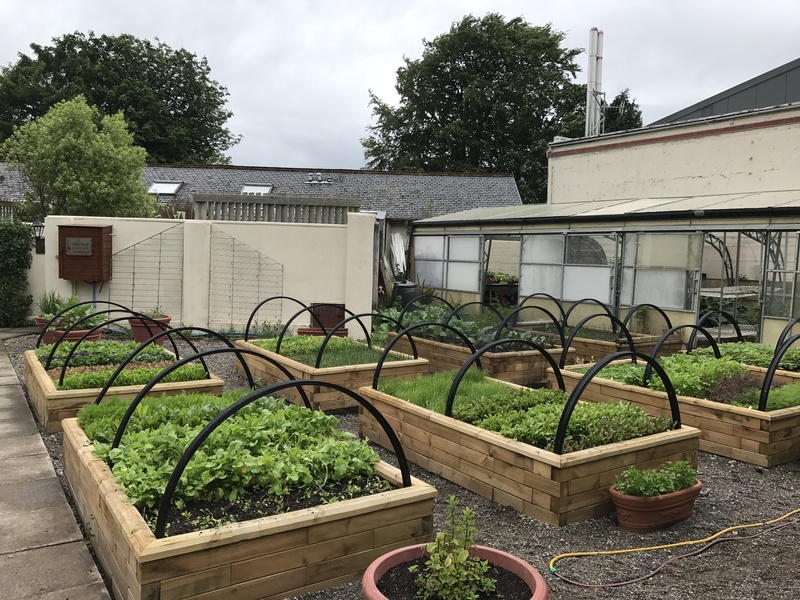 There’s plenty time of time to sit back and sip cocktails whilst nibbling on a pre dinner healthy snack, of fresh garden vegetables from the hotel’s very own garden. 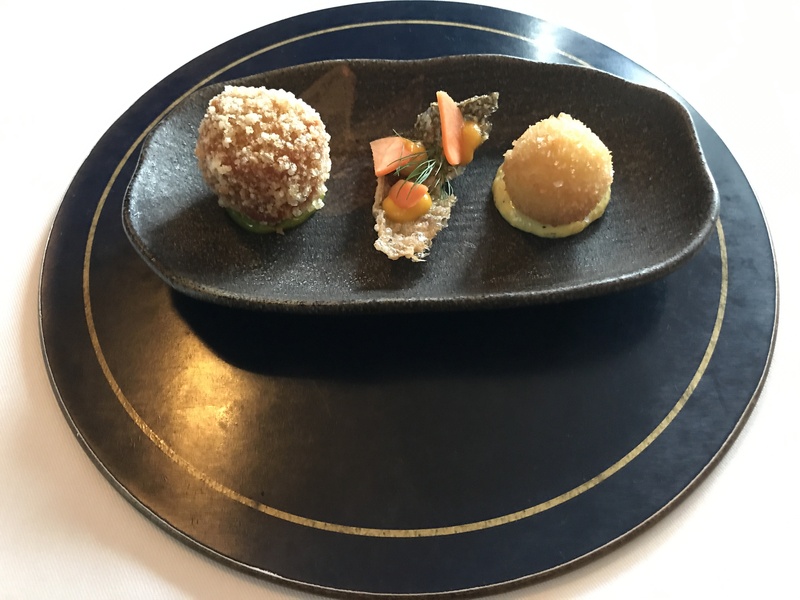 After pondering over the menu that changes daily and making a selection, it’s time to move over to the main restaurant for a delicious amuse bouche of quail’s egg, pig’s head and crispy cod skin. 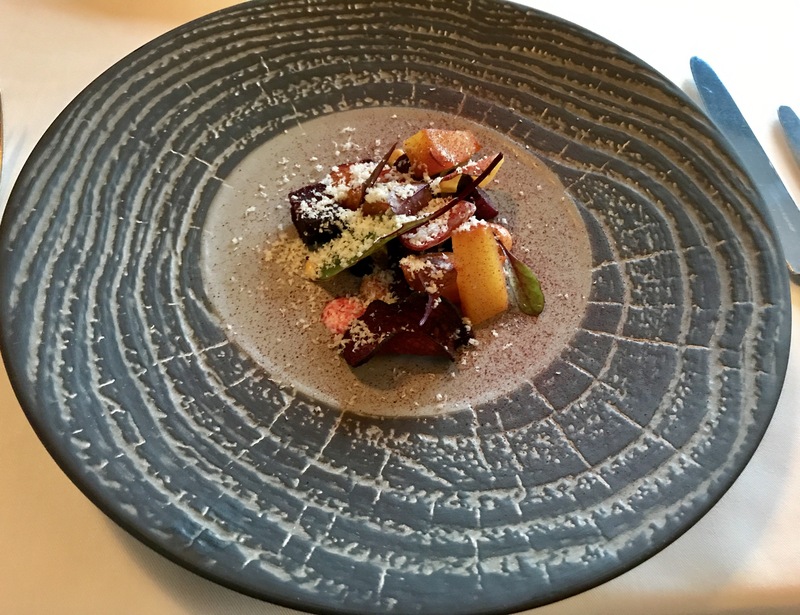 Each dish is arranged meticulously with locally sourced, fresh ingredients.The starter of beetroot exuded an array of flavours, textures and colours. 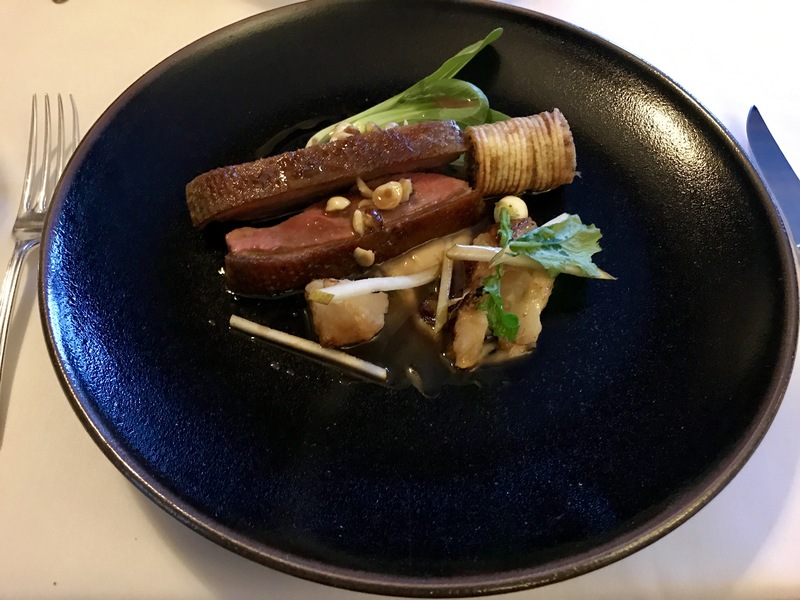 The salt aged gartmorn farm duck with garden turnip, pak choi and toasted hazelnut was cooked to perfection. 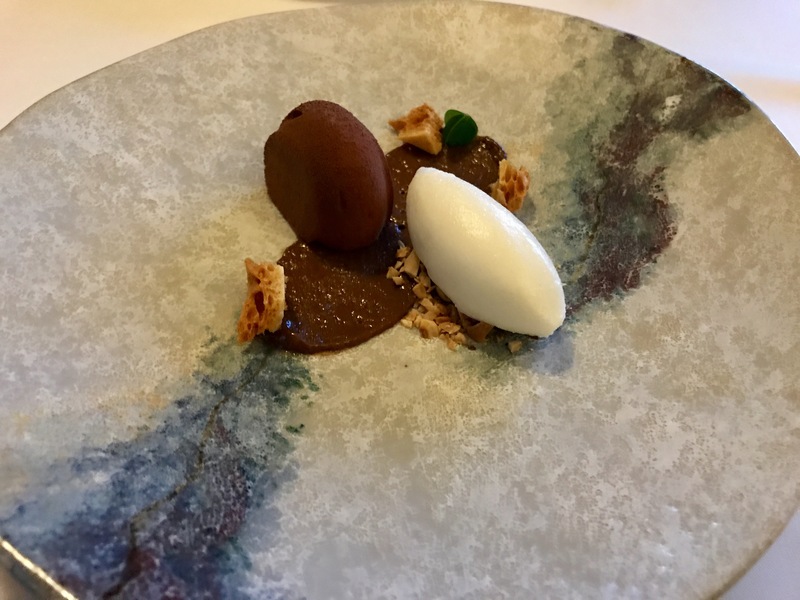 The milk chocolate mousse was simple, yet deliciously light and airy. The lovely meal was followed by a platter of sweet jellies and treats. 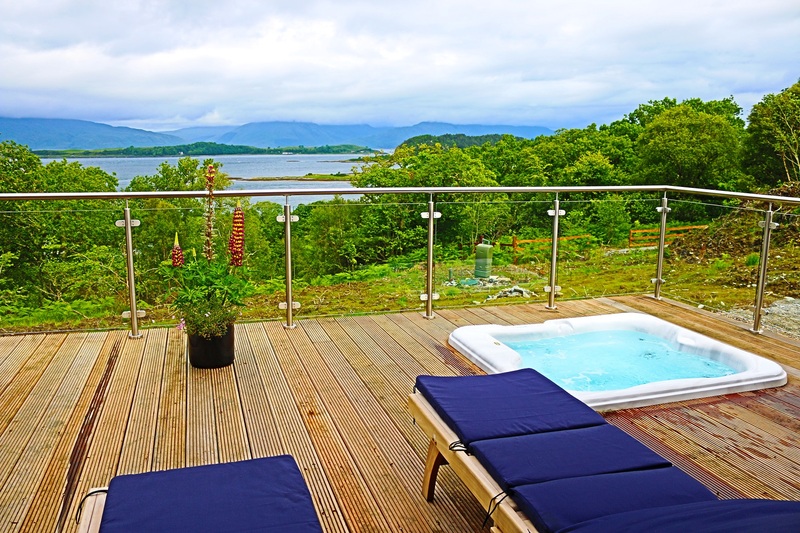 The Isle of Eriska is such a special place. 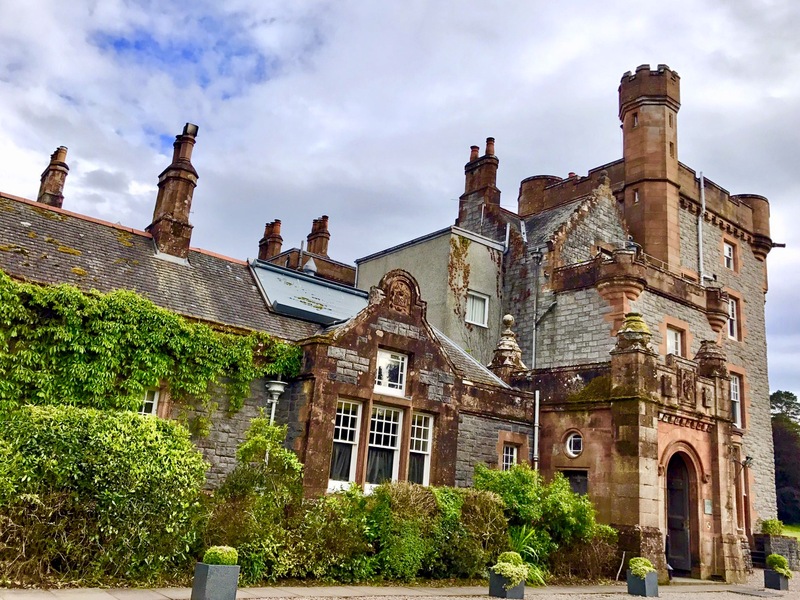 It’s a foodie paradise and a a fantastic retreat that really will leave you in awe of Scotland. 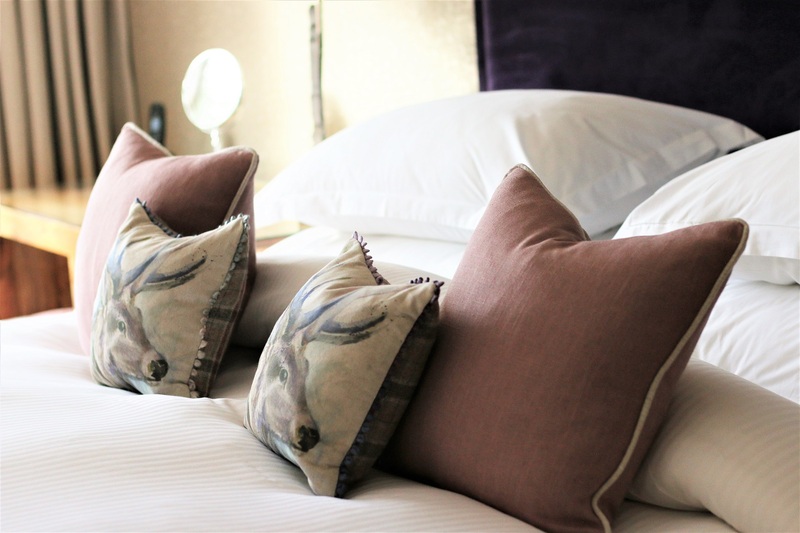 It’s the perfect place for a memorable birthday, celebration, wedding, or even a staycation and we really can’t wait to go back. The modern Hilltop Reserves have an air of exclusivity. 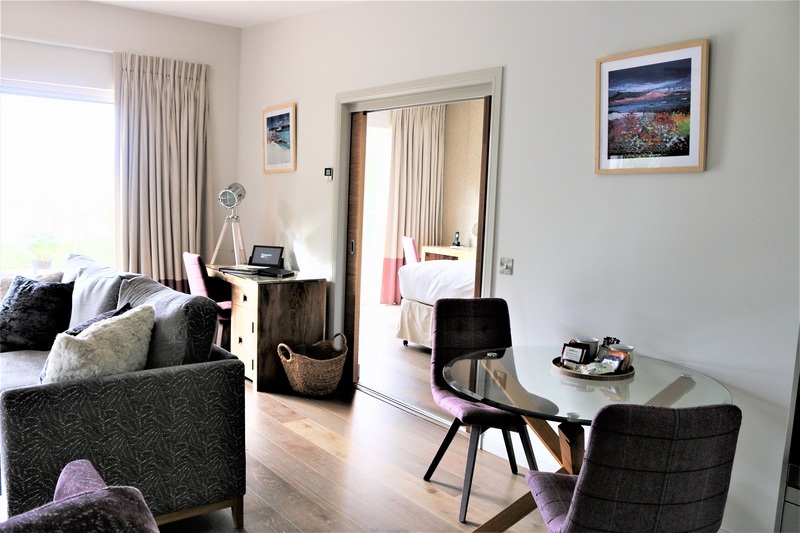 They can be booked for a short break, or a membership packages that can be purchased for just £10,000 (plus VAT) for 70 nights spread across 10 years. 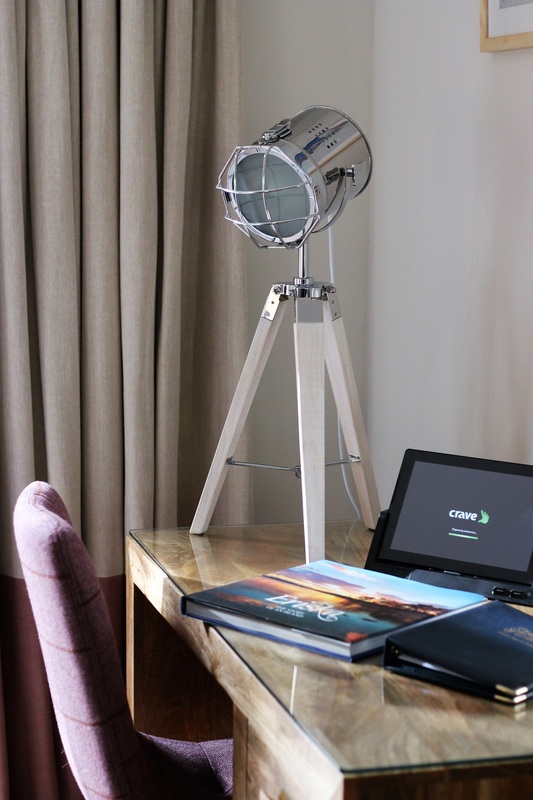 This is ideal for corporate clients who can book up to 21 nights per year.